From time to time I find a project that just tickles me to make. I don't know why, I guess it just strikes my fancy here and there. This was one of them. 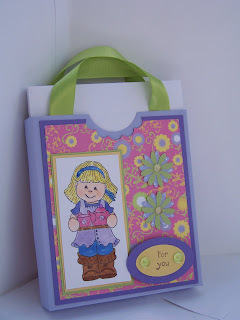 It's a card purse, and don't let it imtimidate you - it's SO easy to put together! 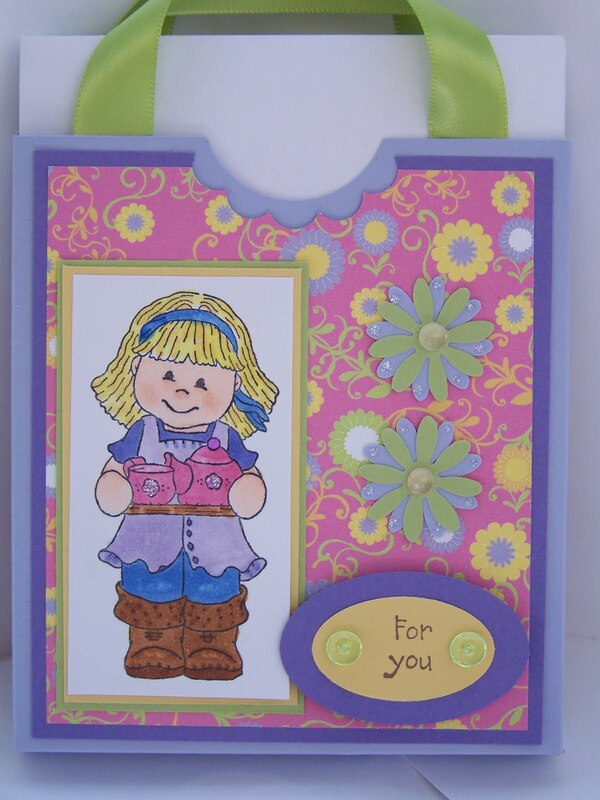 My aunt will be getting this for her birthday later today with some cards added inside. I was able to (tightly) fit 5 cards and envelopes in here. Supplies are SU cardstock in Almost Amethyst, Lovely Lilac, So Saffron and Certainly Celery. I can't remember who made the DP, I just have a little left in my stash. Image is Bildmalarna Mimosa Tea which you can get in the Paper Jewels store. Other Supplies are Stickles, Dew Drops, a SU flower punch, some oval punches, circle and scallop punches, and misc ribbon from my stash. This is sooo adorable Colleen! I love everything about it. Hugs! Wow!! This is gorgeous!! Super nice job! Great idea, it's really adorable! What a super cute idea...great colors too!